N.E.R.D. New LP, 'No_One Ever Really Dies,' Gets December Release Date - GENRE IS DEAD! For the past few months, N.E.R.D. have been teasing their new album in seven years. Now, the album, No_One Ever Really Dies, has gotten a release date and artwork. The group’s comeback record drops December 15. The artwork, which you can see below, shows an open mouth with its teeth wrapped in foil like low-budget grills. You can also find the tracklist below. 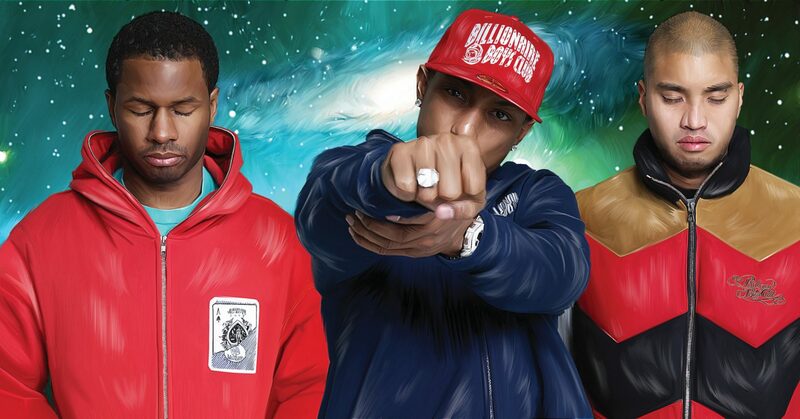 N.E.R.D.’S last album was 2010’s Nothing. The group already gave fans a taste of the new music with two singles: “Lemon” featuring Rihanna and “Rollinem 7’s” featuring Andre 3000.